Publisher: Donald M. Grant Publisher, Inc. Features: Copy number 1 of 1,000. 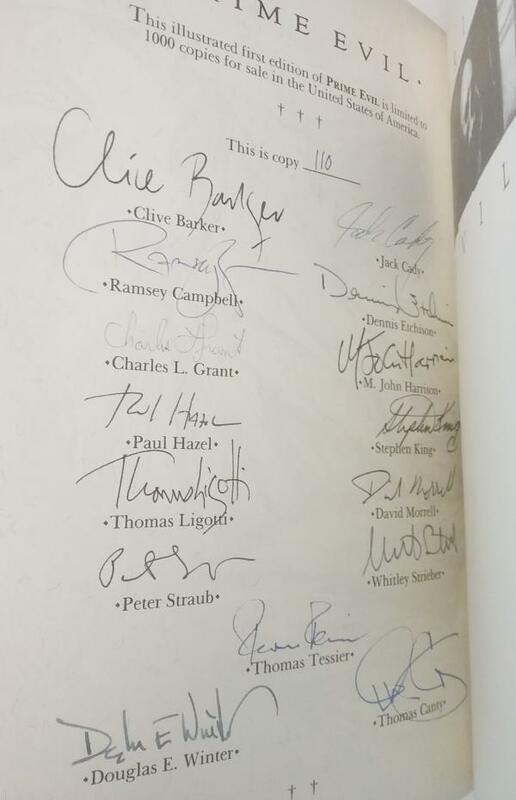 Signed by all fifteen contributors. Full black leather binding, matching black leather Traycase. Illustrated by Thomas Canty. Edited by Douglas E. Winter. Original anthology collection by 13 authers. THE STORIES: Features the original appearance of King's "The Night Flier". "Having a Woman at Lunch" by Paul Hazel, "The Juniper Tree" by Peter Straub, "Coming to Grief" by Clive Barker, and the Award-Winning "Orange is for Anguish, Blue for Insanity" by David Morrell. Also fiction by Jack Cady, Thomas Tessier, M. John Harrison, Dennis Etchison, Thomas Ligotti, and Charles L. Grant. Book Condition: Fine: A tight bright beautiful signed copy and Traycase.